Nick Stone can barely remember who he is and what promises he made. But he knows he is a man of his word. It is his word that keeps him going even when things get really bad. His training is what will get him through this saga and hopefully see him come out of the end of it alive! Ex-deniable operator Nick Stone has spent a lifetime in harm’s way – but when someone he cares for very deeply is murdered in cold blood, he can no longer just take the pain. A high-level internecine conflict at the dark heart of the resurgent Russian Empire and an assassin’s bullet on an isolated Alpine pass propel him from an apparently run-of-the-mill close-protection task into his most brutal and challenging mission yet. As the body count increases, Stone becomes one of Europe’s Most Wanted. He must evade the elite police forces of three nations in his pursuit of faceless men who trade in human misery, and a lone wolf terrorist who threatens to unleash the Western World’s worst nightmare. Vengeance of the most explosive kind is top of Stone’s agenda. The fuse has been ignited – but who really holds the detonator? This novel had me gripped from the first page! 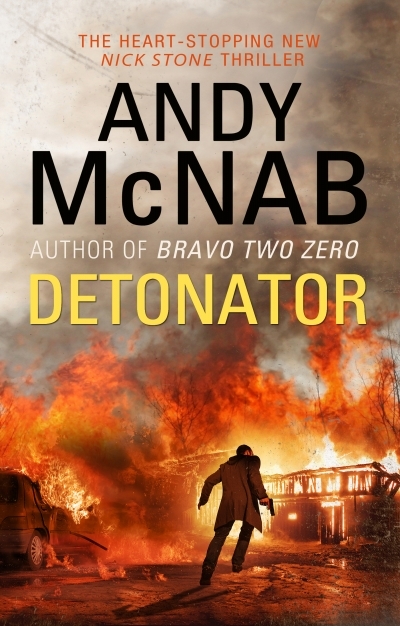 I have added Andy McNab to my list of authors to follow. This new Nick Stone thriller has me wanting to go back and start reading the series from the beginning. Dave and I are on leave. We will be back at work tomorrow. I will start replying to comments then.